We are the leading Tray Partition Manufacture in Chennai. 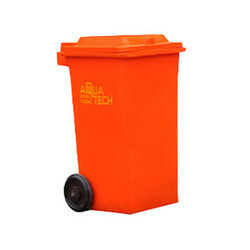 We are reckoned amongst the clients for offering a quality assured assortment of Plastic Garbage Bin. Our Plastic Garbage Bin has seamless finishing and will help in increasing the reputation of your place. They are long lasting and sustainable for use. PET Tray can be used as a TOP LID for your BIN . We have the LID For standard BIN sizes 400X300, 600X400 & More . This lid will bring down your cost by 50% . Can be Disposed and recycled easily . Usage/Application: Material Handling, Storage purpose and for Transportation of products. In order to keep pace with never ending demands of clients, our company offers Round Plastic Dustbin. SS WaterBin, , Ss Waste bin, , Ss Swing Top, , sS Pedal Bin, Ss Urn, Double Sided Trolley. 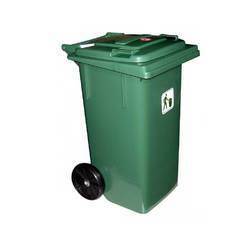 We are the leading dealer of dustbins - which are available at very affordable price range. They are easy to transport and uses.The design of this dust bins will gather attension easily , which will indireclty assures clean environment. They are available at affordable price range. They are durable and have smooth finishing.